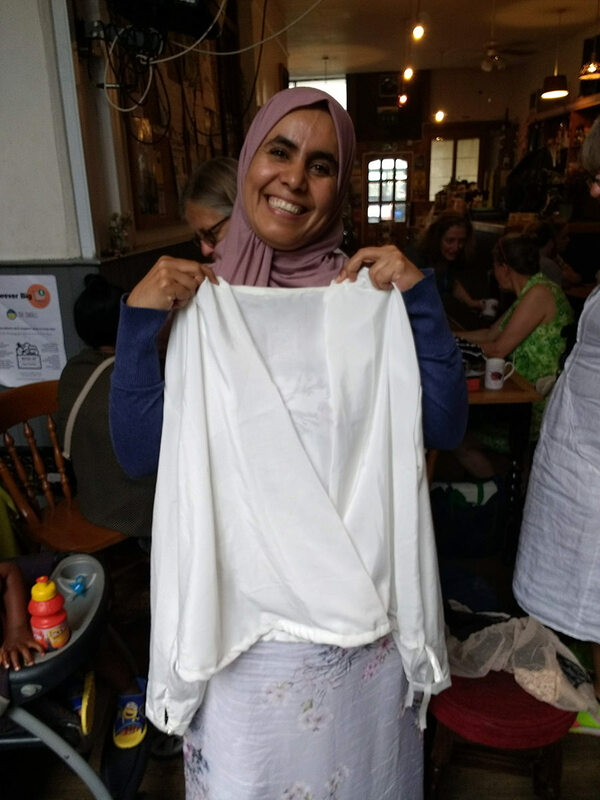 The weekly sewing group is a chance for migrant women to come and learn some basic sewing skills and make their own clothes in a fun, friendly and supportive environment. 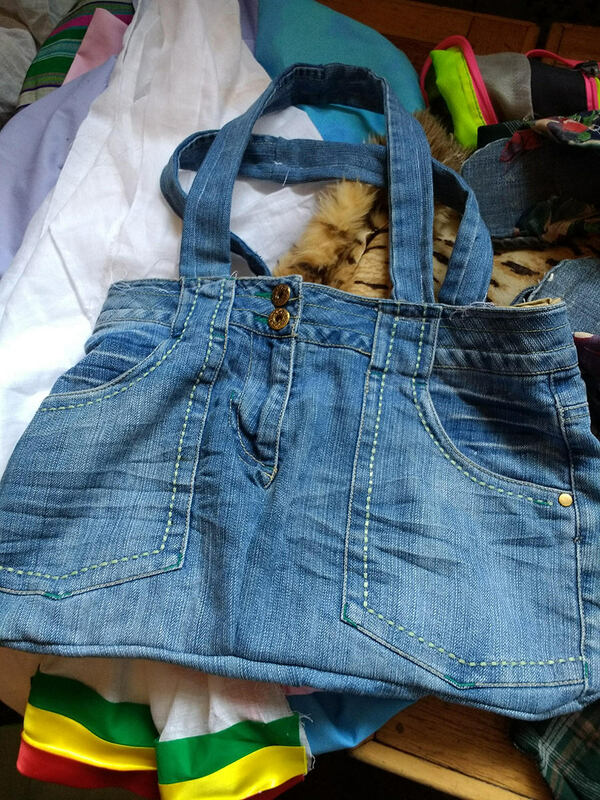 Women learn how to use a sewing machine, work with paper dress-making patterns, explore different types of fabric, take measurements and follow a step by step garment construction process. 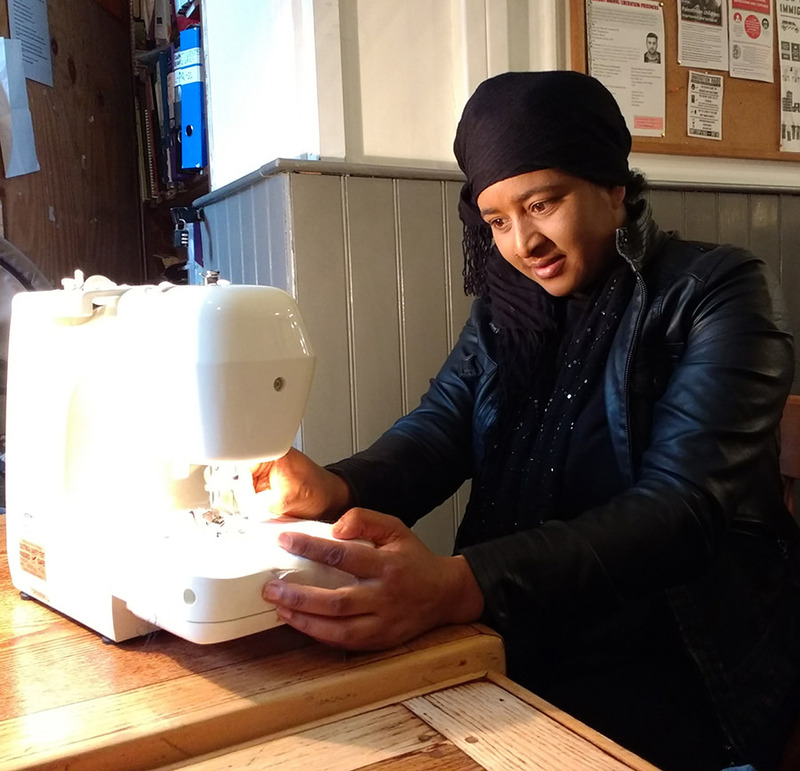 The sewing group is a warm and safe space to practice English, learn new skills, share knowledge with others and develop self confidence and resilience. 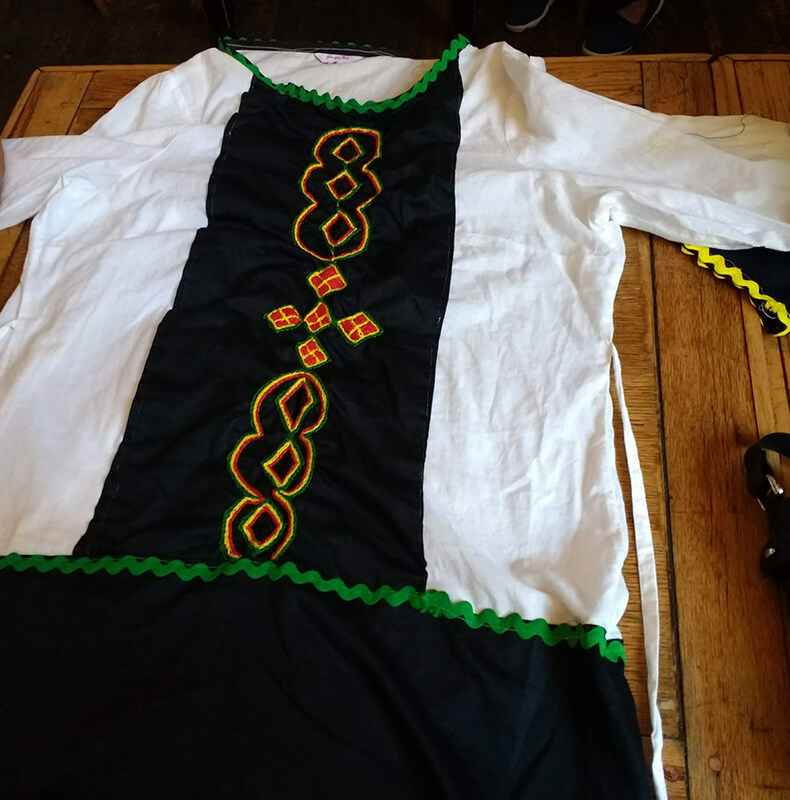 Some wonderful work is being produced by the group and everyone is making great progress – going from bags and blouses to tunics and skirts. We’ve received some incredibly generous donations of sewing machines and equipment and have the support of some fantastic volunteers. The group is free and runs every Monday afternoon between 1.30 and 3.30 pm. Places have to be limited because of the space and equipment available and the group is currently full. The Sewing Group waiting list is now closed until further notice, in order for everyone on the current list to be accomodated effectively. We will update this page on the website when spaces become availiable. We’re always on the lookout for more volunteers. If you enjoy sewing and can use a machine and paper pattern, do get in touch – we’d love to hear from you. We’re also very grateful for donations of sewing equipment, thread and fabric. Who are asylum seekers, refugees and migrants? in a friendly space to asylum seekers, refugees and migrants in Brighton, East Sussex, UK.